MediaTek is a chip slinger, known for its budget SoC solutions, mainly featured in entry-level and midrange devices. However, in 2015, the company unveiled its new line of Helio chips, currently featuring two octa-core models and an upcoming deca-code one, which is heavily advertised as a competitor to Qualcomm's own top-shelf Snapdragon 820. The former two are the Helio P10, which is the most affordable in the line, and the middle-of-the-road Helio X10. Both models are already available and powering a few budget-oriented smartphones, mainly aimed at Asian markets. The third one is the Helio X20 – the world's first 10-core processor, eagerly awaited by tech-heads, as leaks and reports are really boasting about its performance. Having said that, the silicone slinger has certainly taken its time with the X20. The chip was announced way back in May of 2015, but it has yet to hit the market. Rumors from Chinese tech block Anzhuo say that the reason for this is that the X20's development hasn't exactly been a smooth ride for MediaTek. Reportedly, there were issues with the SoC's Wi-Fi capabilities dropping at random times. Those have now been fixed, but overheating instances have started popping up. According to the rumor, the problem is so bad that some of the manufacturers who were planning to use the chip in their upcoming smartphones have given up on it. 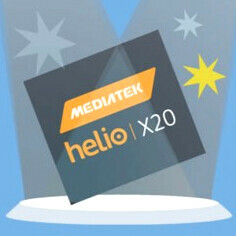 It is unclear whether MediaTek will choose to postpone the Helio X20's production further, in order to battle with the alleged issues, or just proceed as planned. This rumor also clashes with a previous report, which claimed that the MediaTek Helio X20 is running much, much cooler than the infamous Snapdragon 810. Having your flagship SoC labeled as being plagued by potential overheating issues should not be taken lightly. Last year, Qualcomm's Snapdragon 810 was quickly proven to throttle and heat up more than it should. The processor's name became synonymous with performance issues in the tech circles, and any smartphone that was powered by it was met with lukewarm reaction. This is probably one of the contributing factors to the success of Samsung's Galaxy S6 line – Sammy's 2015 flagships were exclusively powered by the home-made Exynos 7420 SoC, which is a fantastic performer with no overheating issues. It's also probably the main reason why LG chose to outfit its G4 with a hexa-core Snapdragon 808, instead of going for the top-shelf Snapdragon 810. With the Snapdragon 820, Qualcomm claims that all heat issues have been taken care of, and seeing as Samsung was helping out with its production, we would hope so. But what about MediaTek – is the underdog up-and-comer about to suffer the same “overheat year” as Qualcomm did in 2015? Seems like only samsung is capable of making 6+ core chips that actualy work well. @shaineql Ha! Typical statement from a Sammy Fan...! My Meizu Pro 5 phone has a Exynos 7420 and barely heats up. Like it or not, Samsung's chipsets are top notch and deliver on the performance. (I could the say for Apple, and I hate both of them). Yep. Samsung now makes the best SoCs on mobile, and I certainly wouldn't mind their chips being more common. Imagine if the Nexus 6P used a 7420! How great would its larger-than-Note 5 battery be, if even the 3000 mAh Note 5 delivers stellar results! True. I used to have a samsung galaxy k zoom, and I didn't used to like Samsung for its touchwiz interface. But resentfully, I am forced to admit that Samsung's Exynos chipset has CLEARLY smoked the snapdragon 810 processor. There is no issue with any processor samsung makes, whether 6 or 8 core processors. True nonetheless. The Exynos manufactured by Sammy is the best SoC in the market. go on google. Write : Samsung S6 Exynos throttle. Not really that great for Android OS, which benefits a lot more from extra cores. That's a shame. I was sceptical of their adding so many CPU cores on an old process node though. Too powerful or design flaw? Doesn't matter what flaws or adventages this is going to bring, only that it's a deca core and they want to make that seem as the best thing anybody has ever done. And many will eat it. In the end going for more, higher clocked, off the shelf bargain cores just for marketing reasons is a terrible way of "fighting" overheating. always thought the A57 cores was the heat problem, but since X20 don`t have any A57`s this is worring since all cores (M1 and SD820) are based of the A72 cores...I really hope the A72`s are not the problem. A72 doesn't have any issues. It's mediatek's obsession with clocking the cores too high. A72 wasn't meant to be clocked at 2.5 GHz. Also it doesn't use even last year's 14 nm LPE process, let alone the new LPP one. 2.5GHz shouldn't be a problem for A72, but on TSMC's 16FF+ process at least. 10 cores WTH! What did they expect, why are they so Core hungry? It's pathetic. So basically a soc become a serious contender and techwebsite start propaganda about it overheating.. Well sorry but the exynos in S5 throttle up to 40-50% easy after 15 min of intensive task. Just go on google and write : Samsung S6 exynos throttle and you will be served with all the proof. You have an Exynos Galaxy S5? And that of Galaxy S6 throttle were defective unities in the starting of the commercialization. It happens in all brands appear sometimes a defective device. But don't compare with the throttle of Snapdragon 810. The throttle of Snapdragon 810 it was a real problem that affected all devices with it.